Stuttgart shows you the history of cars ! 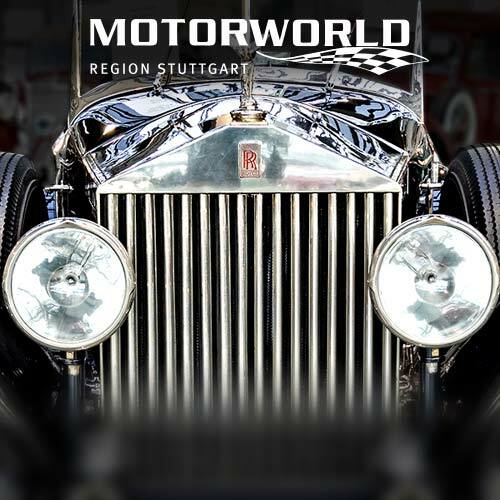 Your journey starts in MOTORWORLD Region Stuttgart, which is situated on 25.000m² in the former halls of the first airport of Baden-Württemberg. Here you can admire beautiful classic cars, sporty ‘Young-Timers’ and very special rarities. Set out on a journey through 125 years of automotive history and visit the Mercedes-Benz Museum. The exhibition of the early days of the automobile to the present day, as well as special presentations ensure an unforgettable visit. Experience the history of the sports car manufacturer first hand, in the Porsche Museum. Learn more about the racing success, the product history of each model and the "Family Philosophy Porsche". 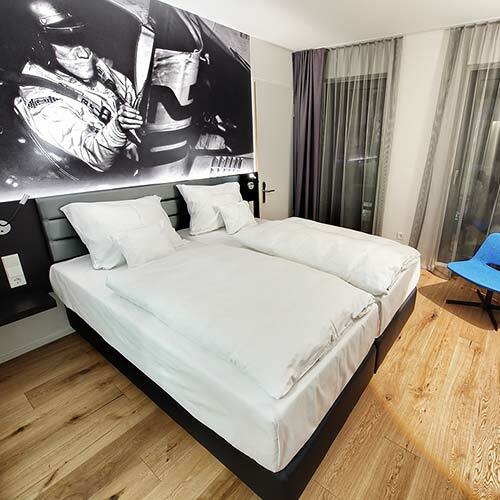 You’ll stay in one of our design double rooms. 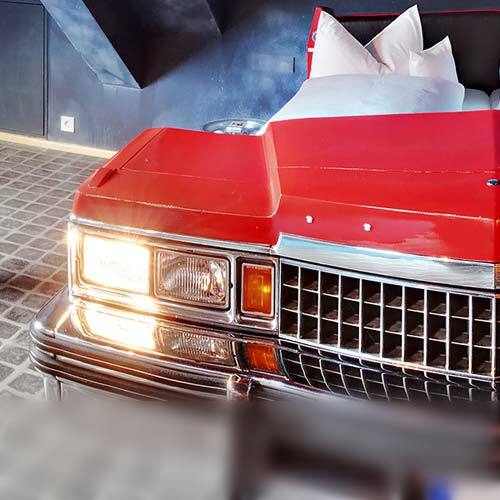 For only €20 extra per person, you can book one of our automotive themed rooms. Sleep, for example in a Jaguar XJS, in a Cadillac under a starry sky, in a Citroen DS or in an old Mercedes-Benz in the car wash, in a white dream called Vision or in a VW Beetle at the gas station. For an additional charge, you can stay in our exclusive Mercedes Suite situated on four floors in the former airport tower.